Buckingham Houses: What’s in a name? | slate river ramblings . . . .
Buckingham Houses: What’s in a name? There are no doubt several Buckingham County plantations, farms, and houses for which the spelling of the name has drifted over the years. 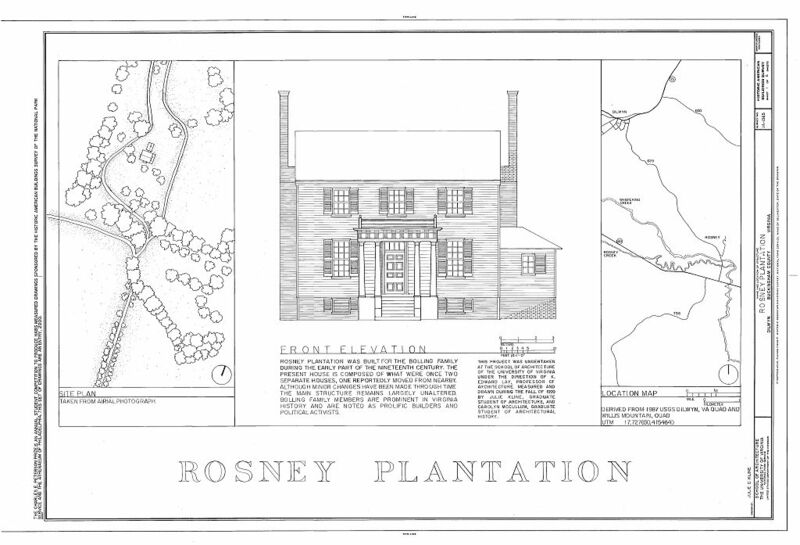 The Library of Congress, for example, holds material about the Bolling family property “Rosney” but locals in Buckingham prefer the spelling Rosny. Peter Jefferson’s plantation on the James River at the Horseshoe Bend was originally called “Snowdon.” According to Thomas Jefferson, his father named it after their ancestor’s homeland in Wales near Mt. Snowdon. In 1776, when Randolph Jefferson took over the plantation, he and others spelled it “Snowden” and it was known as such throughout the 19th century when it was owned by various members of the Harris and Moon families. In the 20th century, new owners reverted to Peter Jefferson’s spelling, Snowdon. For more about Snowden’s history, see The Jefferson Brothers. Bellmont, featured in “At a Place Called Buckingham” – Volume Two, was established by David and Judith (Cary) Bell in the mid-18th century. It makes sense that the original spelling reflected the Bell surname. Over the decades, however, one “l” was dropped and it became known as Belmont. Can Slate River Ramblings readers offer other examples? If so, please comment. The Bolling home in Buckingham was named Chellow. One writer said that was an Ameican Indian name. Chellow/Chellow was the Bolling home after leaving Bolling Hall. It was near the villiage of Ilkley in West Riding, Yorkshire, England, and was dismantled in the mid-1800s. I noticed on my last visit that the Snowden house is really starting to fall into disrepair. I hope it ultimately gets saved from condemnation.